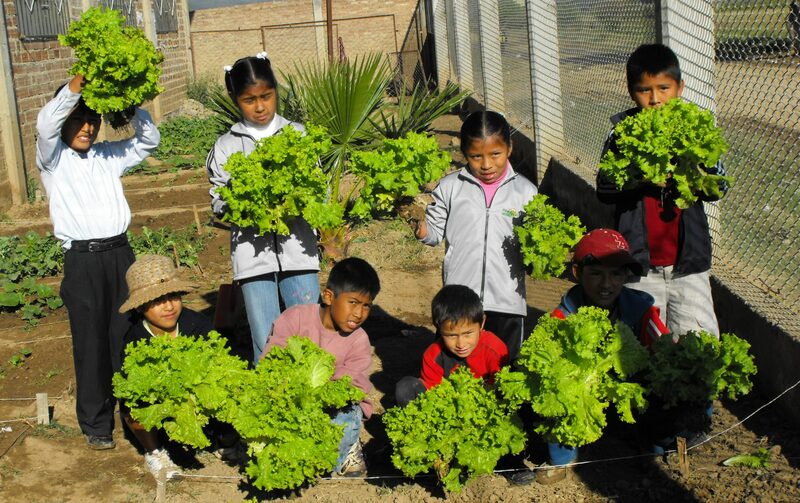 During his stay in Bolivia in 2005, Arnold Brouwer observed that there was a lack of decent Nature and Environment Education in Cochabamba. 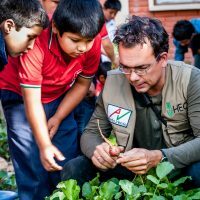 Therefore he started in 2006-2007 together with a few Bolivian engineers a school garden project in schools in the southern part of Cochabamba. 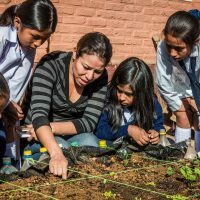 The projects were very successful and provided a lot of opportunities in the field of Nature and Environment Education, including a significant improvement in food security for the poor population. 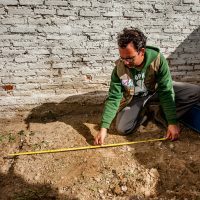 To continue, expand and support the projects and activities, the NME Mundial foundation was established in the Netherlands in 2008, to support the projects in Bolivia. 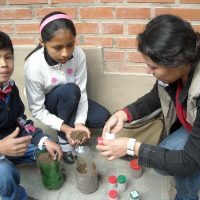 Improving the quality of education on the subject Nature and Environment for both children and adults, through a network of educational projects. The emphasis is on the exchange of knowledge and experience between the Netherlands and Bolivia. Improving our environment and creating a healthy future is a responsibility for everyone. 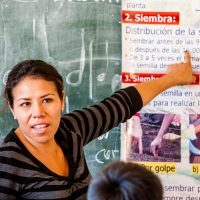 In education in Bolivia, children are the primary target group because they are the future and they can really change something in the long term. Teachers, parents, carers and other interested parties are also an important target group because they have the ability to continue the education in the coming years and they can reach more children. 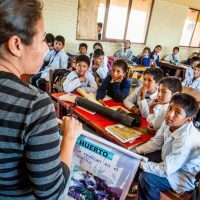 Since 2012 NME Mundial works with our Bolivian partner Alerta Verde to continuate the project “Huertos Educativos Cochabamba”. At present the focus is on the Netherlands and Bolivia. 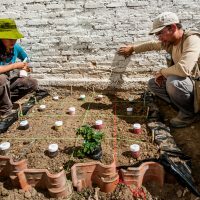 The projects are developed in Bolivia as example projects, so that a similar process in the future can also be applied in other Latin American countries. 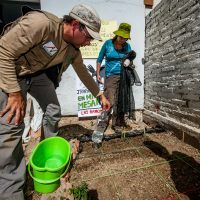 In the Netherlands NME Mundial focuses on creating support for its activities through education, working with interns / volunteers and contacts between schools in the Netherlands and Bolivia. 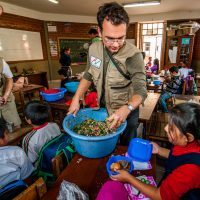 We want to show people in the Netherlands the Bolivian reality and also emphasize food security and other key global environmental issues. We try to develop a win-win situation in which all participants can learn about each other.